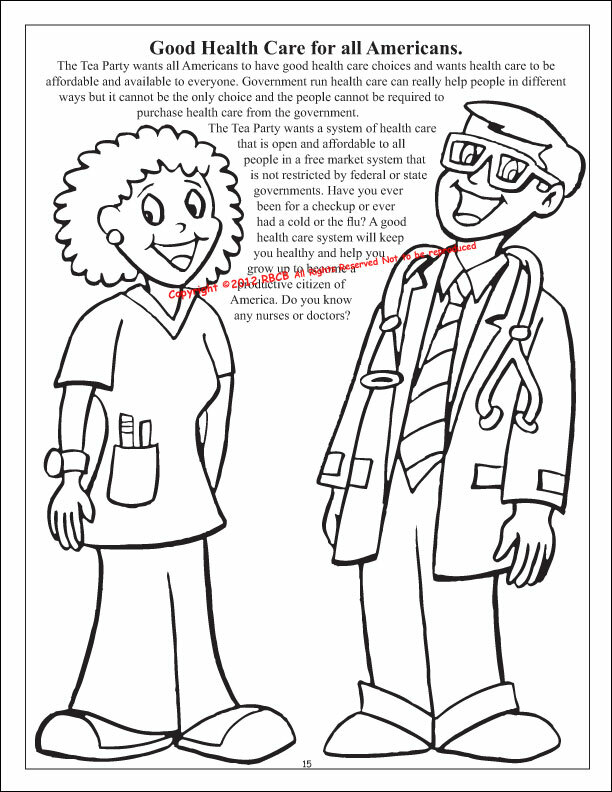 10,000 Free Tea Party Coloring Book for Kids Donated by a Corporate Citizen Patriot Available Now While Supply Lasts at Really Big Coloring Books ® Inc. The Patriot Corporate Citizen, who wishes to remain anonymous, has donated 10,000 (ten-thousand) copies of the Original Tea Party Coloring Book for Kids published in 2010 by Really Big Coloring Books ®, Inc. Who would have ever thought "The Crayon is Mightier Than The Sword." 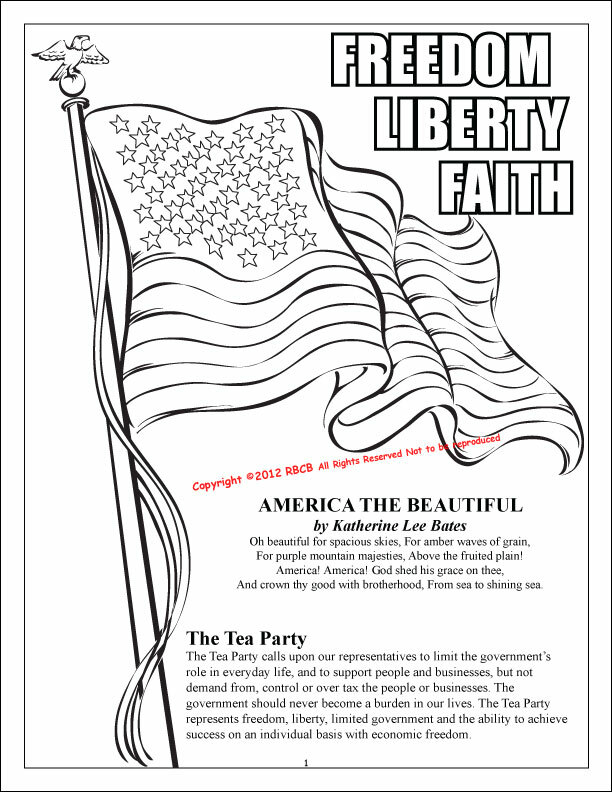 Ten thousand copies of the original Tea Party Coloring Book for Kids are being donated by an anonymous corporate citizen patriot to families and children across America. Available now until gone you can order from one to six copies of the book and it can be ordered complimentary only on the company web site located at http://www.ColoringBook.com. The books are available up to the six copies per person per order and shipping choices are minimal. (The book is reflected at one penny each for inventory control.) To paraphrase the publisher of a local business journal Wayne Bell says, "Who would have thought the Crayon was mightier than the Sword". 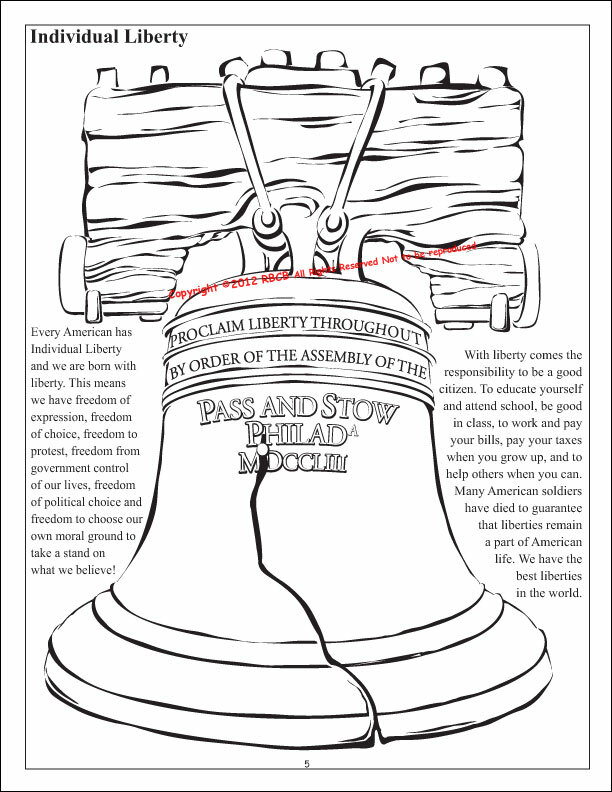 This basic coloring and activity book designed for ages 5 and up reflects lessons on leadership, freedom including patriotic themes. In 2010 the Tea Party Book Coloring Book for Kids prompted death threats for its Publisher Wayne Bell. Extreme left wing elements accused the Publisher of brainwashing children and later the same year over 65 tea party supported candidates were voted into office at the national level alone. Mr. Bell likened the insensitive media blow back as extremely partisan and completely unfounded although many in the media also loved the book. The Tea Party Coloring Book for Kids has been shipped, downloaded or viewed in over 150 countries. Appearing in the global media from small town papers to the big screen, on cable and HBO, the Tea Party has also been welcomed into millions of homes and hearts. This book is accurate and reflective of Tea Party members at large with the core messages and information gathered from interviewing hundreds of Tea Party members and supporters. The books core message is what inspired the contributor to donate the 10,000 copies to children and parents of the USA. "If you do not teach the children the basics, how will they ever learn?" The high quality printed book has a spiral-binding 32 pages and with a strong chip board backing, The Original Tea Party Coloring Book for Kids, is written by Wayne Bell and was published by Really Big Coloring Books, Inc. in 2010. The book promotes the values of government accountability, fiscal responsibility, patriotism and American history. 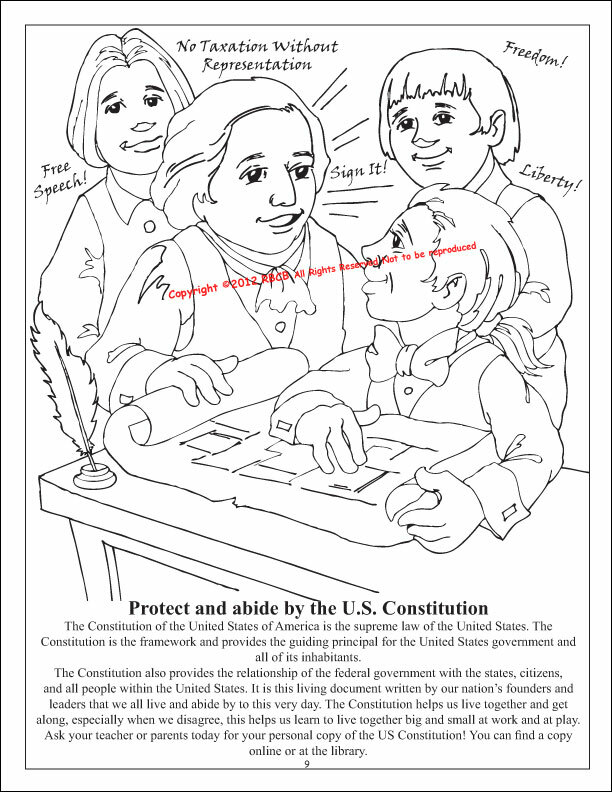 The Tea Party Coloring Book for Kids teaches children (and parents) about the origins of this truly grass-roots movement, dating back to 1773. With patriotic songs, iconic drawings and fun activities, the book covers Liberty, Faith, Freedom and so much more! 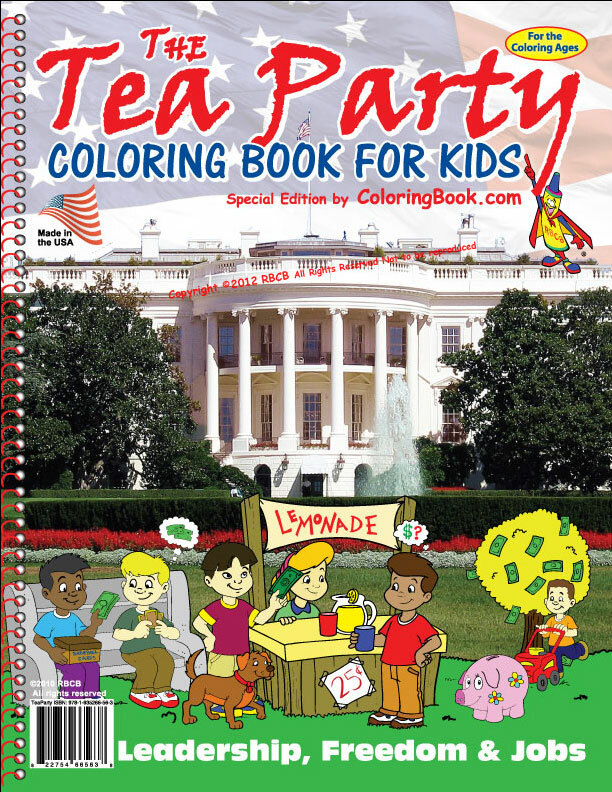 The Tea Party Coloring Book for KidsLeadership, Freedom and Jobs says the Tea Party Coloring Book! Liberty Faith and Freedom in the Tea PartyKey ideals of the Tea Party are Liberty, Faith, Freedom. Protect and Uphold the American Constitution.America will bow to only to the American Constitution. 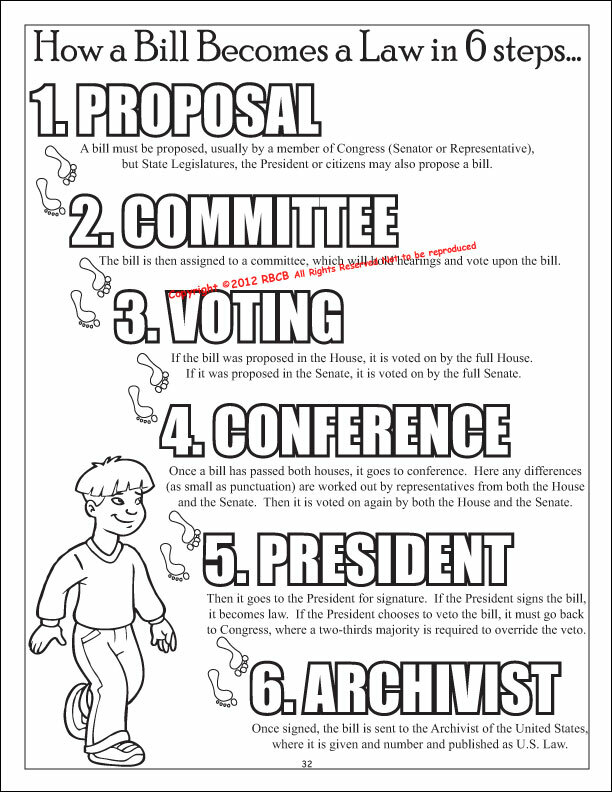 How a Bill becomes a Law. Good Health Care for All Americans.Health Care for America is essential for us all. Let Freedom Ring with Individual Liberty.Iconic symbol of Liberty and Freedom, the 1776 Liberty Bell.